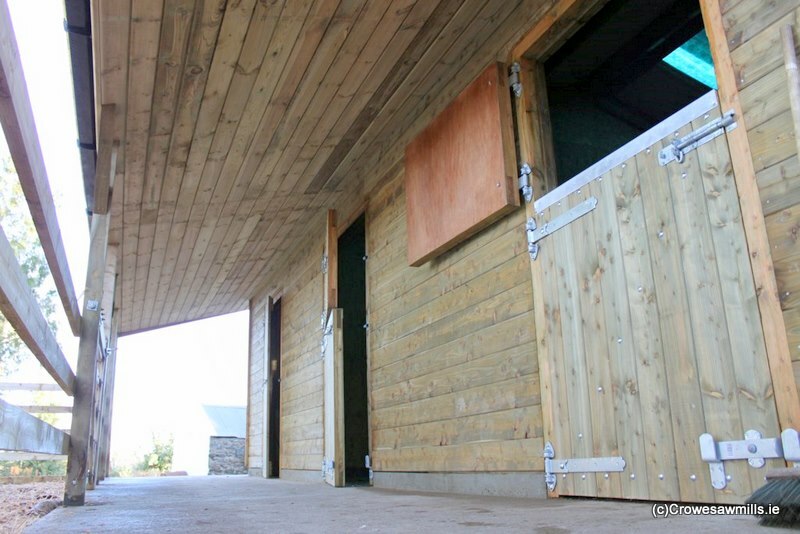 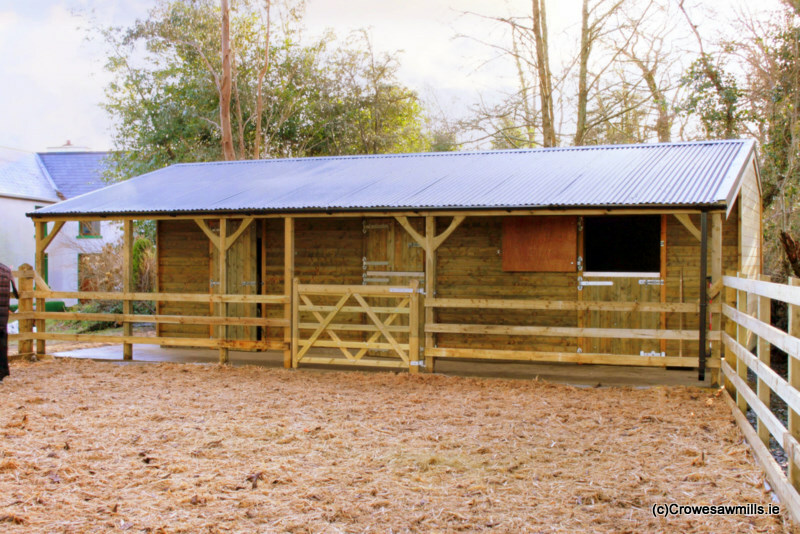 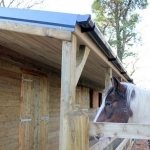 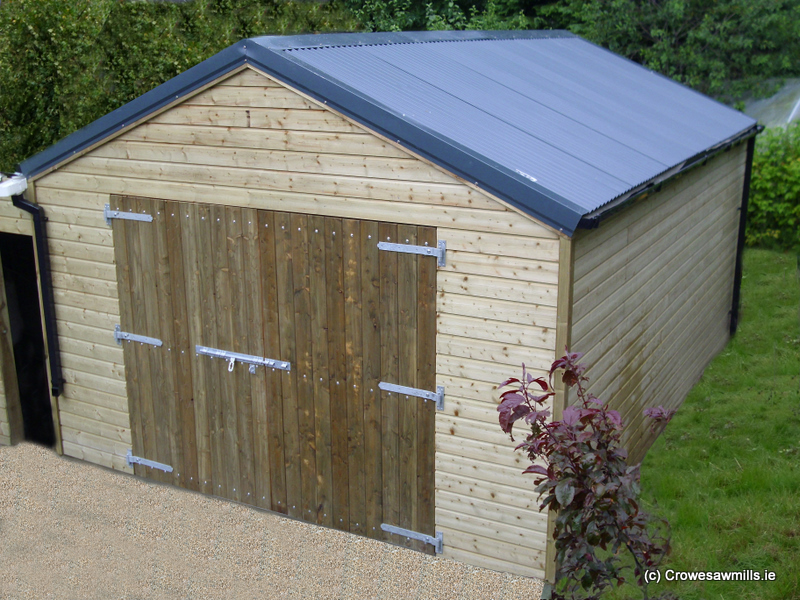 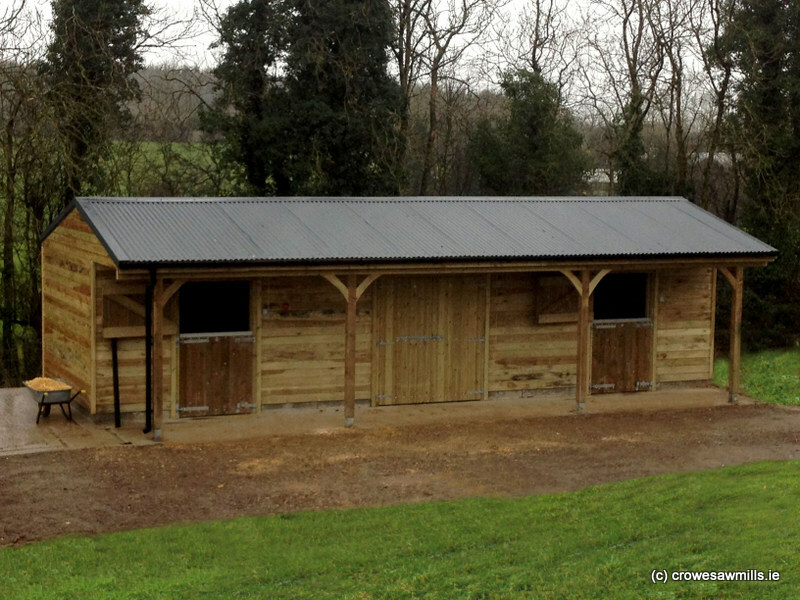 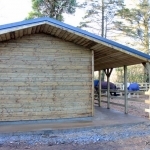 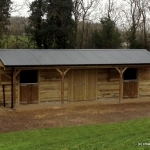 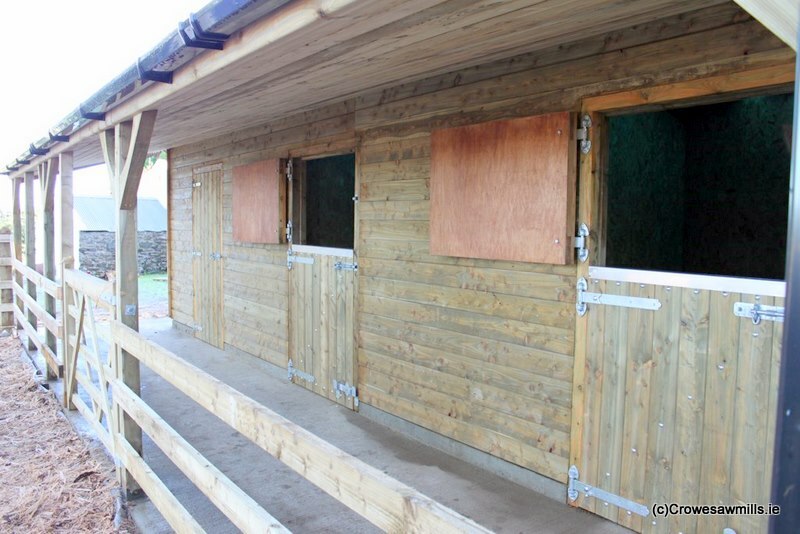 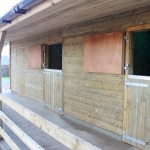 The classic timber stables are manufactured from the highest grade of timber, shiplap cladding. 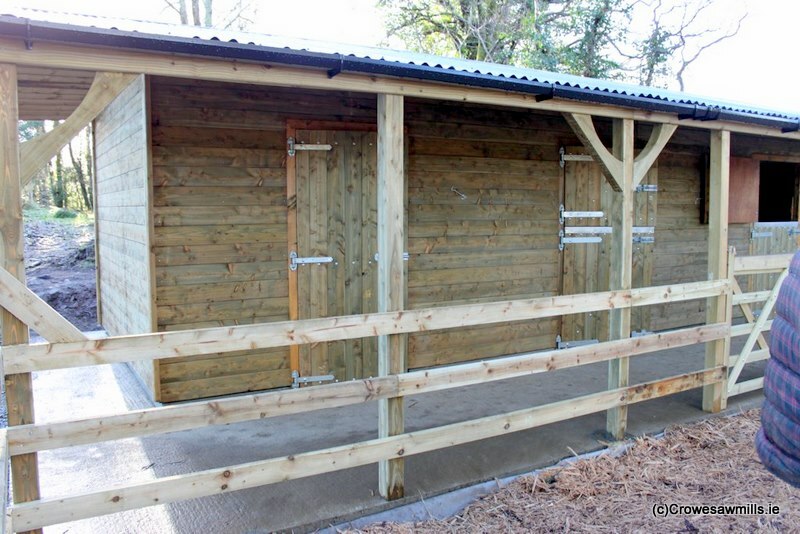 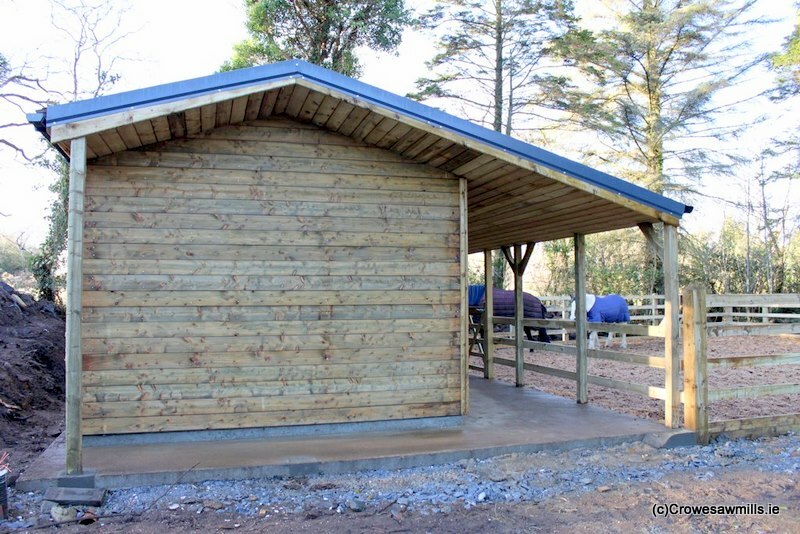 Unlike many other timber stables producers in Ireland, the benefits of ours, is that they can all be made to bespoke measurements and any number of stables can be put side by side. 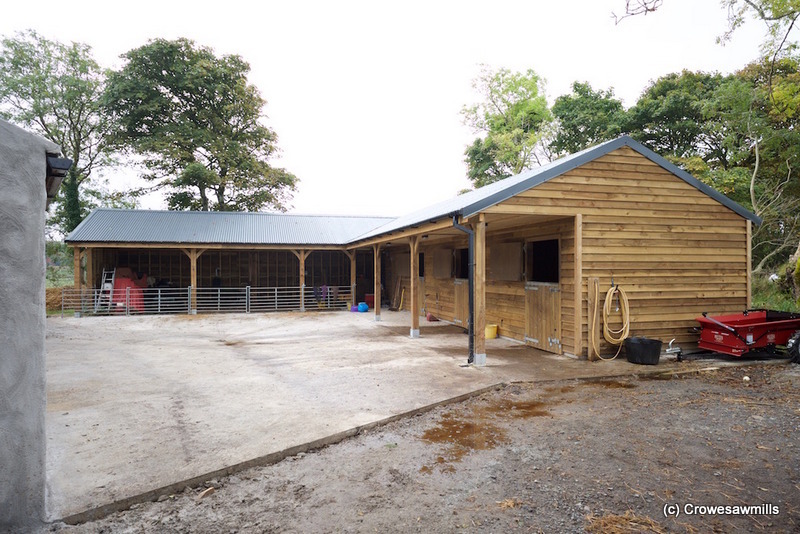 We can also incorporate a tack room and car port into the design. 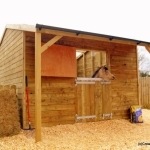 Standard loose boxes are 3.6m x 3.6m x 2.4m high to the wall plate. 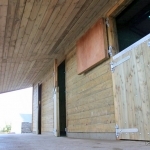 A heavy duty classic timber stable door is 2.1m x 1.2m including the door frame at 125 x 75mm. 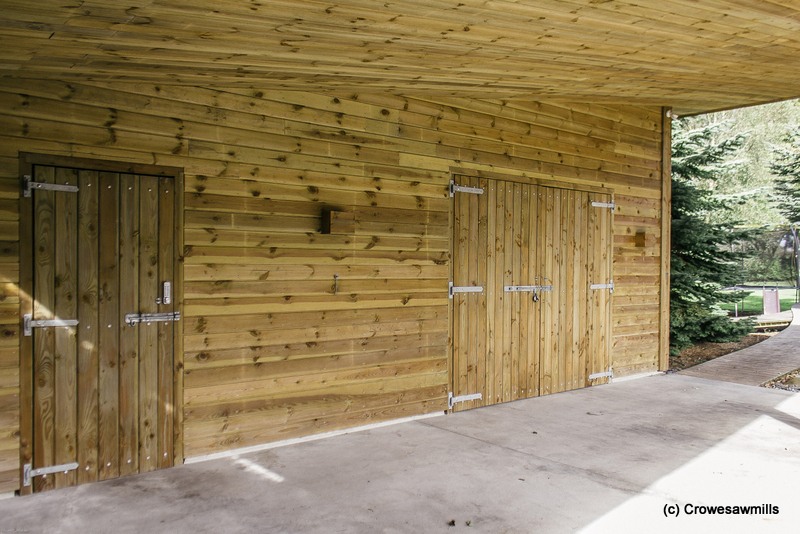 All timber is pressure treated with Osmose Naturewood. 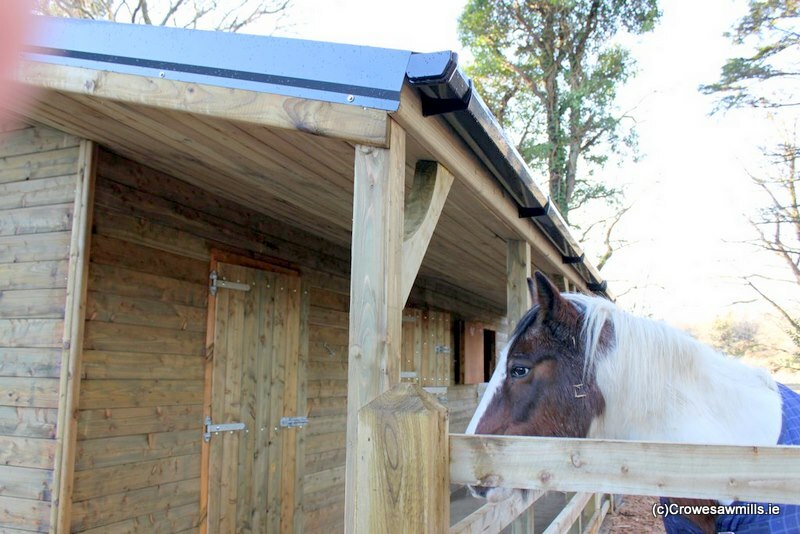 The highest quality galvanised fittings are used, black 100mm plastic gutters are fitted, roof cladding with felt and 20mm OSB is lined on the inside walls to the roof. 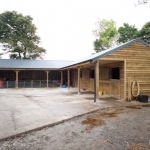 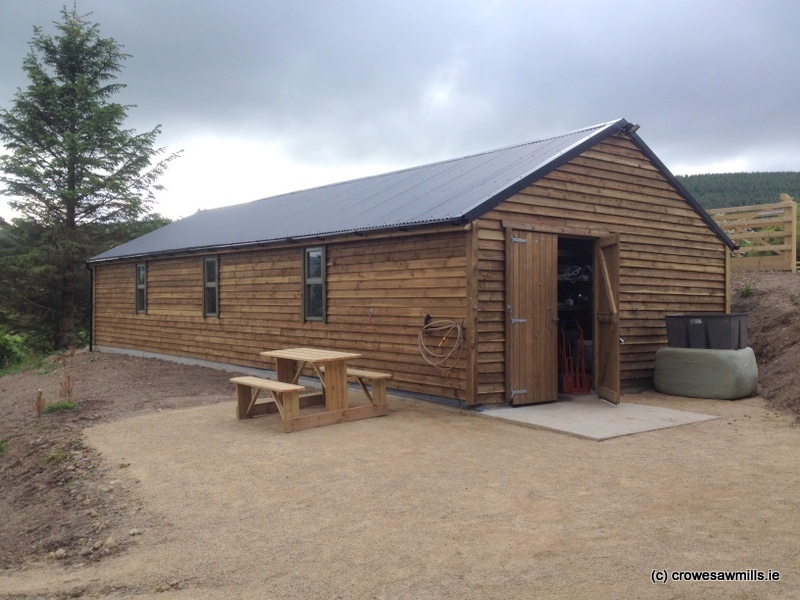 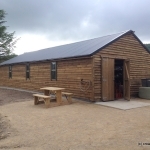 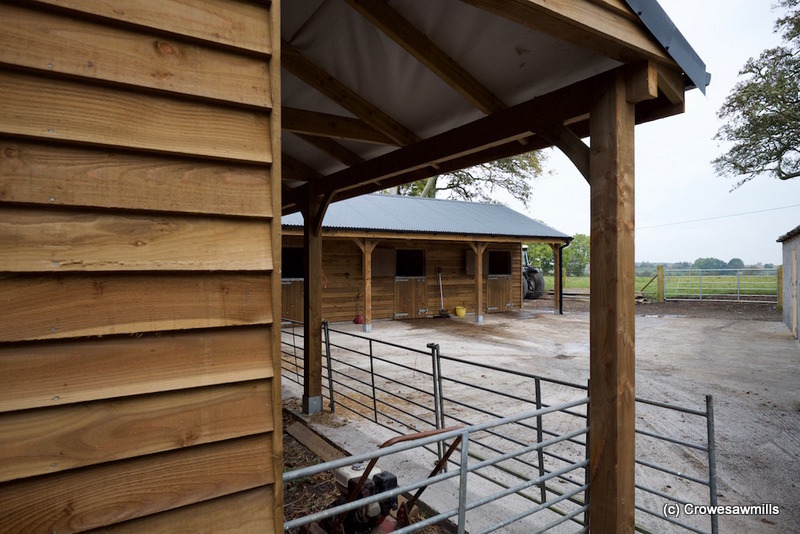 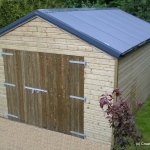 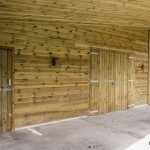 Timber Stable Barns (measurements – 14.9m long x 6.0m wide, the cladding used is sawn finish Larch 150 x 22 overlapped, studding 100×44, tantalised rafters 125 x 44 and kickboard fitted to an internal wall. 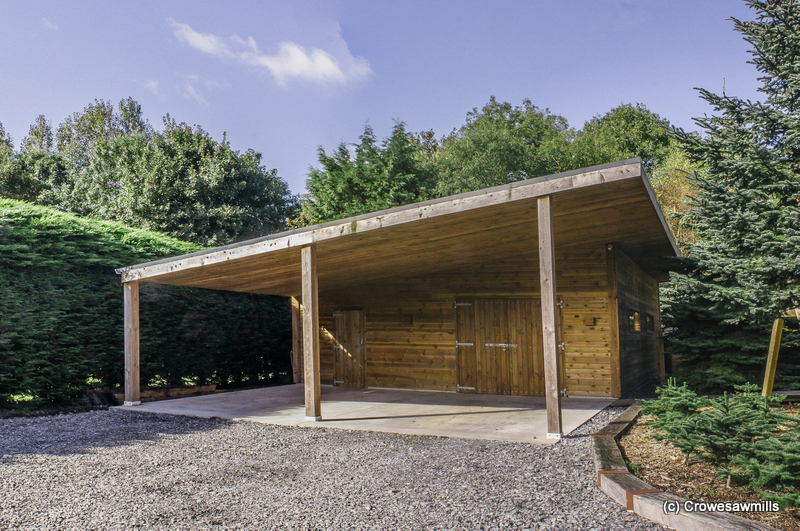 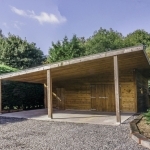 Complete Timber Shed (constructed from timber measuring 60ft long x 30ft wide with a carport incorporated into the design. 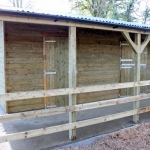 All timber pressure is treated, skids in the building are 100 x 44mm and the shiplap sheeting is 150 x 22mm on the exterior. 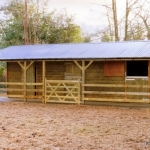 8″ x 8″ posts are supporting the overhang. 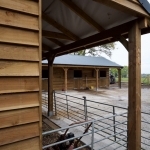 We will be happy to answer any query you might have and we will happily offer recommendations for your timber stable requirements. 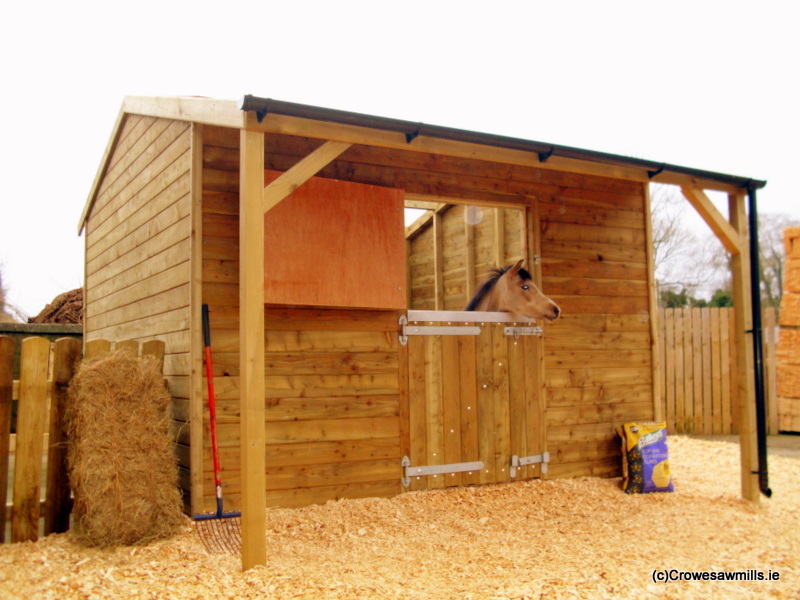 Crowe Sawmills- your top supplier of timber stables in Ireland.